This August, I am reading a lot online about the events taking place in Syria and Iraq right now. Through those newsfeeds, I have learned about a guy I would have loved to have known. 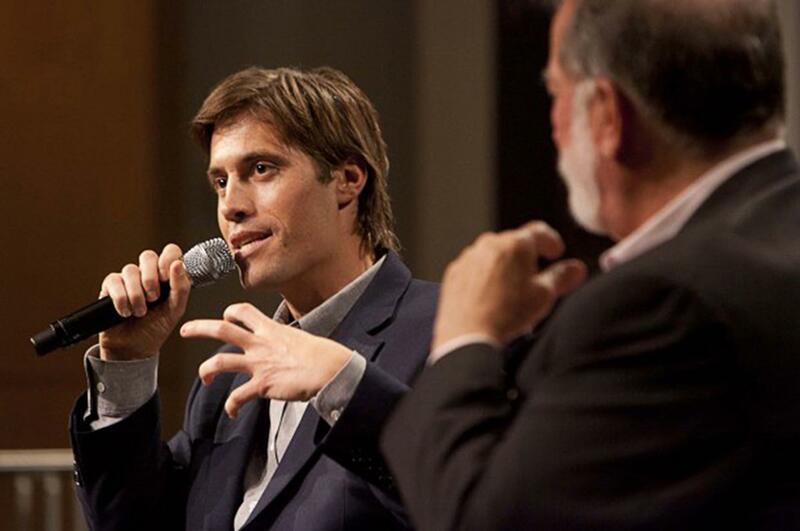 The intent of the … video is to strip James Foley of his humanity, to turn him into a symbol. It is an act that Foley’s own work was dedicated to combating, reflected in the Carl von Clausewitz quote he chose as a subtitle for his blog: “War is fought by human beings.” We can pay tribute to him best by refusing to participate in the twisted one-act play, this allegory that his killers have scripted for us. He may have been killed because he was an American or a journalist, but his death is not a blow against just those groups—it is an affront to every single one of us. Follow Margaret Eby on Twitter @margareteby. I will not watch the video, but a still image of the video, in which he is shown kneeling on the ground, has come up a lot on my computer today, so I have decided to take some time to learn a little bit about his life. In the still image, I have spent time looking at his face and I see someone who has his head up and his eyes closed. I have read that he prayed when held prisoner and kept the spirits up of those in captivity with him. I am sorry for his loved ones’ loss. I am sure he was one in a million and their hearts are broken. I know I did not know him and I have no idea what that moment was like for him, but I see his dignity in his posture. I read an interview he did with his alma mater, a Catholic college in Milwaukee. It seems that service trips he went on in high school and college made him decide to spend time with Mother Teresa’s sisters in Kolkata, serving the poorest of the poor there. It seems he was not married and that he had dedicated his life to telling the story of the poor and suffering, as a journalist. He must have been an extraordinary person, though, who followed what had to have been a true calling from God. From what I can tell, a calling is something that a person feels they must do and they do it well while most people would not do it for any amount of compensation. I know that is a simple way to put something so mysterious, but it is the way I’ve seen genuine callings played out in peoples’ lives for many years now. I went to Kolkata too, thinking that maybe that was my calling, but in the midst of such suffering and poverty, I only experienced desolation there. I could not handle being around so much suffering. He must have experienced some sort of consolation there, just as Mother Teresa did, and I’m sure he brought a lot of smiles to that dark place and to all the dark places he went since then. Clearly, I do not have what it takes to follow the same path he was called to follow, but, as a fellow 40 year old who loves people, I appreciate his integrity and his dedication to his call. As a fellow Christian, I think about a warm reception heaven has for him and the other folks he’ll “meet” in heaven who get him and can relate to his calling which was so unusual and so dangerous. God bless his family and God give them comfort.